Per his military service record (regimental no. 4775), Norman Hamond Francisco was born at Cobar, N.S.W. He gave his age as 24 years and 9 months, his marital status as single, and his occupation as baker. His description on his Certificate of Medical Examination was height 5 feet 1 ½ inches tall, weight 162 lbs., with a fair complexion, grey eyes, and light brown hair. His religious denomination was Roman Catholic. He claimed to have had no previous military service. A send-off was held on Thursday 28th October 1915 at the Court House Hotel in Cobar for Norman Francisco, brothers Walter and Robert Mitchell, and Andrew Lennox, and they were then cheered by many friends when they left Cobar by train on Saturday 30th October 1915 to join the A.I.F. All four of them completed their medical examinations, and were attested, at Dubbo on Monday 2nd November 1915, (the day the Coo-ees were at Lithgow). Norman Francisco then traveled by train with these three other Cobar men to catch up with the Coo-ees. They were waiting to join the Coo-ee March when the Coo-ees arrived at Mt. Victoria three days later, on Thursday 4th November 1915. After completing the Coo-ee March Private Francisco went to Liverpool Camp as reinforcement for the 13th Battalion. On 20th December 1915 Private Francisco was charged with being absent without leave from the Liverpool Camp from 3rd to 19th December 1915. He was fined 17 days pay. Private Francisco and fellow Coo-ee Private Lennox while home on leave were given a farewell at the Star Hotel in Cobar on Saturday, 1st January 1916. On 4th February 1916 Private Francisco was charged with being absent without leave from the Liverpool Camp on 1st February 1916. He was fined 1 days pay. On 16th February 1916 he was charged with being absent from night piquet. He was fined 2 days pay. On his embarkation roll his address at time of enrolment was Becker Street, Cobar, N.S.W., and his next of kin was listed as his father, A. [Alfred] Francisco, at the same address. On 8th March 1916 Private Francisco, along with many of the other Coo-ees, departed Sydney on the HMAT A15 Star of England, with the 15th reinforcements for the 13th Battalion. Troopship HMAT A15 Star of England. Australian War Memorial Collection AWM H17014. He arrived in Egypt on 11th April 1916. On the 16th of April 1916 he transferred to the 4th Pioneer Battalion at Tel El Kebir, Egypt. On the 4th of June 1916 Private Francisco left Alexandria aboard the Transport Scotian bound for France. He arrived at Marseilles on 11th June 1916. On 31st October 1916 Private Francisco was charged with being absent without leave from 0830 on 29th October 1916 till 0900 on 29th October 1916. He was fined 4 days pay. On 5th November 1916 Private Francisco was injured playing in a football match. He was sent to the 4th Australian Field Ambulance. On 7th November 1916 he was admitted to the 1st New Zealand Stationary Hospital at Amiens, France, with a sprained ankle. On 9th November 1916 he was placed aboard the 9th Ambulance Train and sent to the 11th Stationary Hospital at Rouen, France, where he was admitted on 10th November 1916 with a fracture to the 5th metarasal bone in his right foot. On 12th November 1916 Private Francisco was placed aboard the Hospital Ship Formosa bound for England. He was admitted to the 1st Southern General Hospital at Birmingham, England, on 13th November 1916, with a fractured toe. Private Francisco was discharged from hospital on 19th February 1917, and granted leave to report to the No. 1 Command Depot at Perham Downs, England on 6th March 1917. On 24th March 1917 Private Francisco was charged with being absent without leave from 3.30 pm on 6th March 1917 till 8.45 am on 23rd March 1917. He was awarded 10 days Field Punishment No. 2 and fined 28 days pay. On 21st June 1917 Private Francisco was charged with neglecting to obey routine orders by being in Tidworth after hours on 19th June 1917 without a pass, using obscene language, and drunkenness. He was awarded 14 days detention. On 21st August 1917 Private Francisco marched into the Overseas Training Brigade. On 23rd September 1917 he was appointed Acting Lance Corporal at Fovant, England, while attending school. On 20th October 1917 Private Francisco was sent to the Sutton Veny Military Hospital sick with Influenza. He revered to the rank of Private on being admitted to hospital. He was discharged on 30th October 1917. On 22nd February 1918 Private Francisco was charged with being absent without leave from midnight on 19th February 1918 till apprehended by the Military Police at 1815 on 20th February 1918. He was awarded 1 days Field Punishment No. 2 and fined 3 days pay. On 7th April 1918 Private Francisco departed Southampton, England, bound for France. He marched into the Australian Infantry Base Depot at Le Havre on 8th April 1918. On 19th April 1918 he rejoined the 4th Pioneer Battalion in France. On 22nd May 1918 the 4th Pioneer Battalion was resting in billets around the village of Bussy, France, when it was bombed by enemy aircraft. One man was killed and 6 were wounded. Private Francisco was one of those wounded, receiving a bomb wound to his right leg. He was sent to the 4th Australian Field Ambulance. On 23rd May 1918 he was moved back to the 5th Casualty Clearing Station. On 27th May 1918 he was placed aboard the 10th Ambulance Train, being admitted to the 47th General Hospital later that day. He was discharged on 5th June 1918, and sent to the Australian General Base Depot at Le Harve, France. He rejoined the 4th Pioneer Battalion on the 19th of June 1918. On 13th March 1919 Private Francisco departed France bound for England to commence his return to Australia. He arrived at Weymouth, England, on 14th March 1919 and marched into the No. 4 Command Depot at Hurdcott, England. 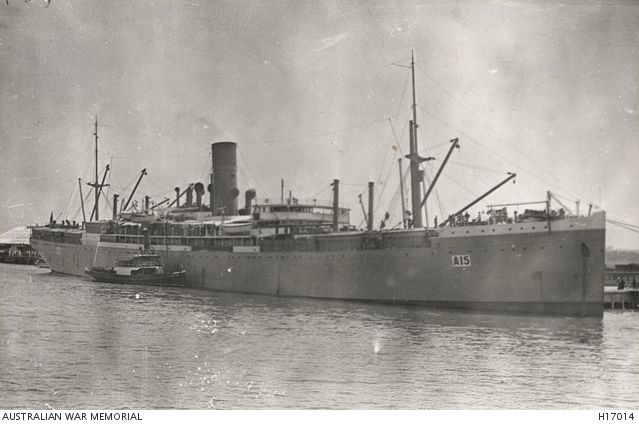 On 1st May 1919 Private Francisco commenced his return to Australia aboard the Transport China. He arrived in Australia on 11th June 1919. Private Francisco was discharged Termination of Period of Enlistment on 26th July 1919. Australia War Memorial. First World War Embarkation Rolls, Norman Hammond [sic] Francisco, HMAT Star of England A15, 8th March 1916. Australian Imperial Force unit war diaries, 1914-18 War – AWM4 Subclass 14/16 – 4th Australian Pioneer Battalion, May 1918. This entry was posted in Recruits and tagged Cobar recruits, Dubbo recruits, HMAT A15 Star of England, Mt. Victoria, Norman Hamond Francisco. Bookmark the permalink.